Yes, my time in England has officially ended and I have now made my way to Oberwinterthur, Switzerland. 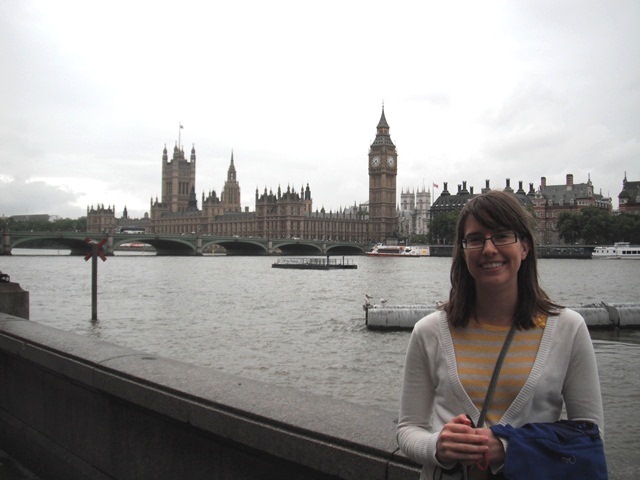 But yesterday my boss & I spent some time hitting the major landmarks in London. 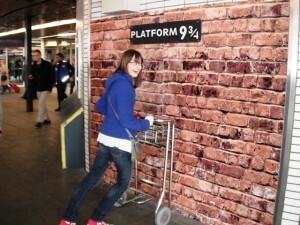 First, I insisted we stop by King’s Cross since I heard rumors of a Platform 9 ¾ mock-up. Let me tell you – what a disappointment! I don’t know if things became too touristy, or if it was due to the construction, or if it was always this way, but ‘Platform 9 3/4’ was a really lame cardboard backdrop of a brick wall, with a trolley going into the wall. Since we travelled all the way out there, I decided that I should take a picture anyway. See? Pretty Lame. I tried to get excited though. Next, we took the Underground to London Bridge, walked that & then walked to Westminster & South Bank. Since it was raining, there weren’t too many weird street performers. Here are some more pictures! 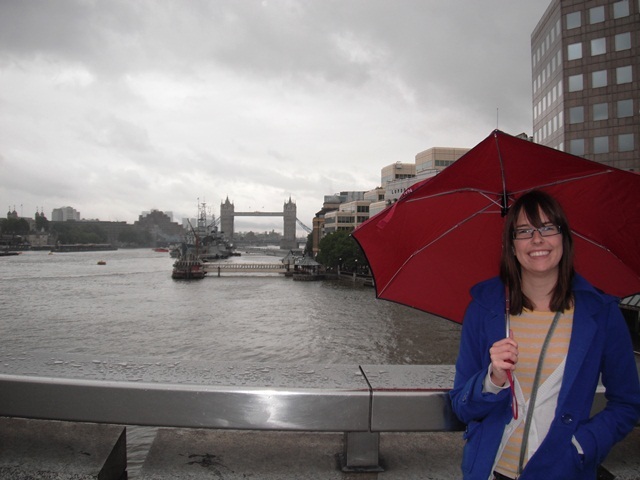 Me on the London Bridge, with Tower Bridge behind me. Umbrella too, ’cause it’s London. Westminster Palace & Big Ben! Then we retired to the hotel early since we had early flights today. There was a pretty cool pub in the hotel, so I was able to get my fish & chips fix in. Previous Post Jolly Ol’ England – It’s Business Time!